Fringe purse: Fringe may have been a really popular summer item but good news this look can carry you into the fall. 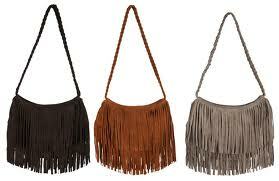 Fringe in a neutral shade (grey, camel, burgundy and black) purse is a must have for your carrying needs. Whether you choose a clutch, hobo or cross body just make sure it’s sporting some fringe. 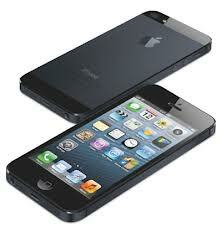 IPhone 5 : Of course you have to have the latest and greatest from the folks over at Apple. iPhone 5 has been released and the lines have formed. It’s the ultimate accessory for the woman on the go and that wants to keep up with the tech trends. On a budget? Wait for your upgrade or stick to the iPhone 4S, they are being sold for pretty inexpensive prices. 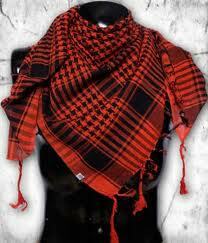 Red plaid scarf: It’s cuter than it sounds. If it reminds you of the Seattle grunge music scene circa 1994 or of the English horse riders, then get it. It’s in this fall. It adds a touch of class and fun to any neutral outfit. Have fun with it! Grey booties: It’s all about the booties. And this fall, they need to be in a lighter grey color. These go with just about any outfit in your wardrobe and add some pizazz to any outfit. You can find grey booties anywhere right now, they are that hot! 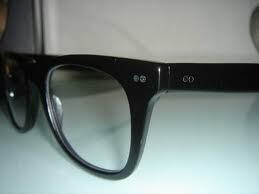 Old school eyeglasses: There is a fine line when it comes to wearing old school eyeglasses. First rule, you must have a prescription for glasses or you will be classified as a ‘hipster’. Second rule, avoid the overused black, square (and hipster) looking ones that were all over the place last year. Try out a different shape and the tortoise shell pattern. Ultra fab and a look anyone can pull off! You can find any of these trendy pieces online or at your local shopping mall. The rule of thumb is to take the trend and make it your own. Add your own personal style and touch! Be you, be bold and be beautiful as you are! About the Author: This guest post is contributed by Debra Johnson, blogger and editor of Liveinnanny.com. She welcomes your comments at her email Id: - jdebra84 @ gmail.com. The fringe purse is cute! I will be getting my iPhone5 when it's time for my upgrade. Until then I am loving the iOS6 software update on my 4S! Good to know, I sure can use these tips as I don't keep up on fashion as much as I use to!